Asia’s two most populous countries are quietly fighting a strategic battle over the Middle East, centered around two little-known ports in Iran and Pakistan with access to the Persian Gulf. 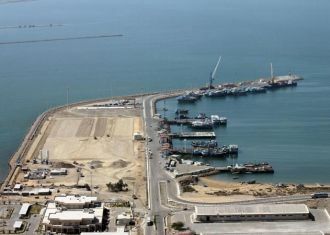 But now China is making a play for Chabahar as well, offering $78 million in financing for an overhaul of the port. Indian media are outraged. The Indian Express, which broke the story, said China was “quietly intruding into India’s geopolitical space in Iran.” India’s foreign office agreed, warning that China could be financing the project so that Gwadar would not have competition. Both India and China are attempting to curry favor with Iran’s rulers to support their respective projects. In the short term, the two countries have very different stated aims. 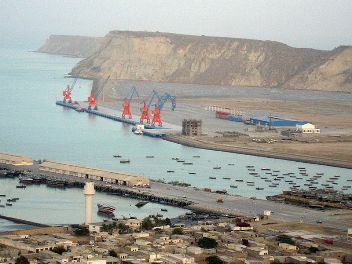 China intends to use land links to Gwadar port to transport Middle Eastern oil and goods through Pakistan to its far western province of Xinjiang. India, by contrast, wants to use Chabahar to trade with Afghanistan through Iran. 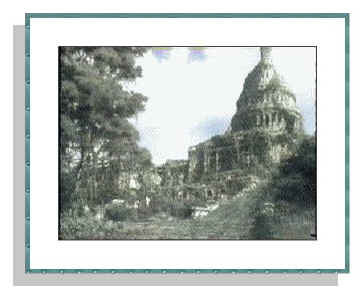 But neither country is short-sighted. The geopolitical importance of the Middle East and ensures that whichever port gains prominence will be a lucrative venture. The financing battle is just early-stage diplomacy. As The Diplomat points out, New Delhi is fretting that China will develop a “string of pearls” in the form of naval bases encircling India and throttle its maritime expansion; Beijing is fretting that it will encircled by its neighbors in the Pacific, especially in light of the United States’ renewed activity in the region. Sino-Indian relations were recently strained by a border standoff in the mountainous region of Ladakh and India has been public with its concerns about China’s naval buildup. Neither side wants conflict—China’s new premier, Li Keqiang, chose India as his first overseas destination in order to build relations—but some stepping on toes appears inevitable. 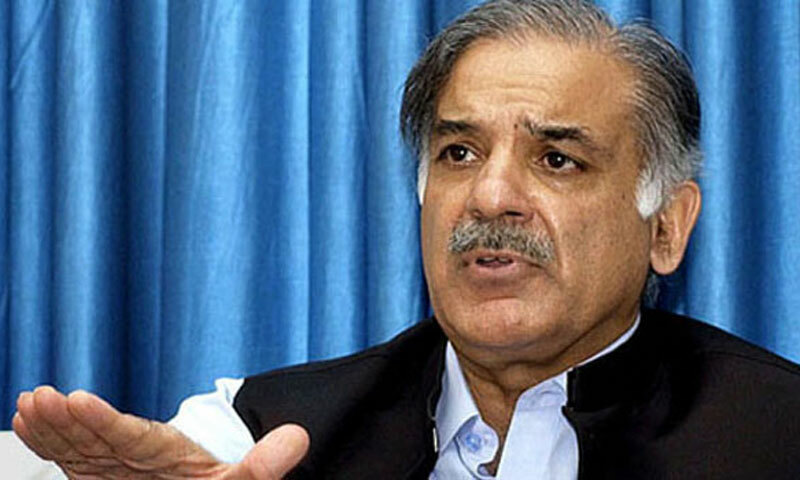 LAHORE: Chief Minister of Punjab Shahbaz Sharif on Monday said solving the electricity crisis in the country would not curb terrorism, DawnNews reported. Addressing the inauguration ceremony of a two-day health conference in Lahore, the chief minister said the problem of terrorism could only be resolved if societal inequalities were eliminated and the overall system was revamped. He moreover said that imposition of four martial laws in the country had destroyed Pakistan. Chief Minister Sharif added that basic amenities like health and education facilities, which were available to the society’s elite class, were not accessible to ordinary members of the public. The chief minister regretted that the country was unable to formulate even one bio-medical workshop. 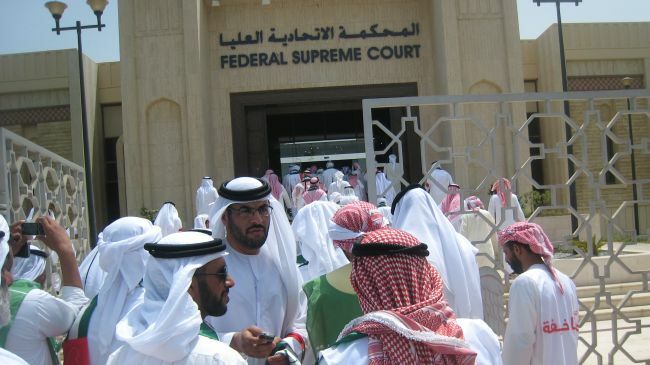 ABU DHABI: More than 65 suspects accused of plotting a coup in the United Arab Emirates received prison sentences of up to 15 years on Tuesday in a mass trial that underscored the widening crackdowns on perceived Arab Spring-inspired dissent across the entire Gulf Arab region. Rights groups have accused the UAE of widespread violations including jailhouse abuses against the 94 suspects on trial. 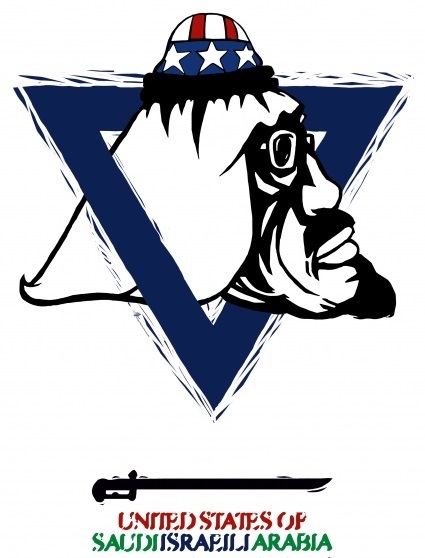 The suspects included teachers, lawyers and even the cousin of one of the UAE’s rulers. Authorities have rejected the claims and have moved ahead with further arrests sweeps targeting suspected groups linked to networks such as Egypt’s Muslim Brotherhood. The UAE — which allows no political parties — has not faced any street protests or direct pressures since the Arab Spring uprisings began in the region more than two years ago. 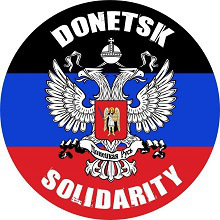 But Western-backed officials have turned their attention to suspected Islamist cells and online activists who have called for a greater public voice in the tightly controlled country. Prominent rights activist Ahmed Mansoor — who was jailed in some of the first UAE crackdowns after the Arab Spring — said prison terms of 15 years were given to eight suspects tried in absentia. Ten-year sentences were handed to 60 others, including Sheikh Sultan bin Kayed al-Qasimi, who was head of a group known as al-Islah, or Reform. He is a cousin of the ruler in Ras al-Khaimah, the northernmost of the UAE’s seven emirates. At least 26 of the suspects were acquitted, Mansoor said. Security was tight around the court Tuesday with many foreign journalists, family members and observers blocked from the session. The Abu Dhabi-based newspaper The National reported that chants of ”Allahu Akbar,” or God is Great, came from defendants and some relatives as the verdicts were read. Mansoor said at least two brothers of the suspects were detained hours before the verdicts were handed down, reflecting wider trends across the Gulf as leaders attempt to quash any challenges to their rule. Dozens of people have been jailed across the Gulf for blog posts and Twitter messages deemed offensive to rulers. Authorities across the Gulf also have claimed to have dismantled alleged espionage rings — some accused of links to rival Iran or its proxy Hezbollah. But the UAE has been the most aggressive in moving against suspected threats from Islamist groups. Last month, UAE officials said they plan another high-profile trial against 30 Egyptian and UAE suspects for alleged coup plots linked to Egypt’s Muslim Brotherhood. The case raised tensions with the Brotherhood-led government of Egyptian President Mohammed Morsi who is now under extreme pressure at home from protesters and military officials calling for him to step down. In the Emirates’ case against the 94 suspects, prosecutors claimed that the group al-Islah — which was headed by the ruler’s cousin al-Qasimi — was influenced by Muslim Brotherhood ideology to oppose the Western-oriented system in the UAE. The suspects rejected the claims, saying the group only supported Islamic viewpoints and conducted needed social outreach in poorer areas of the country beyond the skylines of Dubai and Abu Dhabi. Al-Islah has operated openly for decades in the UAE under the tactic agreement that members would not get involved in political affairs. In London, the director of the Emirates Center for Human Rights said the aim of the trial was to ”silence political activists and intimidate others who may support democratic reforms”. ”Allegations of torture remain without investigation and numerous fair trial standards have been violated,” said Rori Donaghy. ”UAE authorities must quash these verdicts, release these individuals against whom they have presented no credible evidence and investigate the allegations of torture that have been made,” Donaghy added.